Identify and differentiate emerging practices involved in quantifying the total environmental impacts of building materials and products. Investigate the life-cycle assessment (LCA ) and environmental product declaration (EPD) processes and their relevance to green building design. 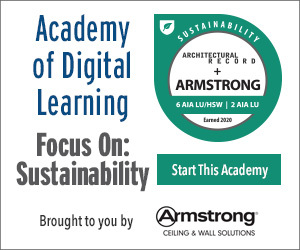 Explore the use of LCA s and EPDs as part of a decision-making process for selecting products to meet green building certifications. Demonstrate the ways that appliances can contribute to positive life-cycle analyses and national green programs. The standards for good green building design and construction are beginning to recognize the total environmental impact of products and materials specified and used in buildings. As commonly defined, an environmental impact related to building products is any change to the environment, whether adverse or beneficial, wholly or partially resulting from an organization's activities, products, or services. These impacts start as soon as raw materials are acquired and then incorporated during manufacturing to create a building product. In the case of residential appliances, the biggest environmental impacts may occur when a product is being used in a residence. Specifically, energy and water are consumed when using the appliances, which deplete water and fossil fuel sources and contribute to the carbon footprint of the user. The disposal of products at the end of their service life likewise contributes to environmental impacts through the use of energy to transport them from the location of use and relocate them, plus the impact of disposal in landfills, incineration, or other methods. Because of these recognized impacts over the full life of products and materials, there has been increasing interest in finding a reliable method for quantifying, comparing, and documenting the comprehensive environmental impacts related to specific building products. The process and methodologies to analyze the environmental impacts at each stage of the product's life cycle is based on a standardized life-cycle assessment (LCA) process. The development of standardized LCA methodologies has led to the standardization of reporting their results. As such, these reports are quickly becoming the standard for identifying and communicating the total environmental impact of products, including appliances in buildings. A life-cycle assessment (LCA) is an analysis of every component and phase of a product's life—from the selection of raw materials to the end of its useful service life. The recognized international definition is the “consecutive and interlinked stages of a product system, from raw material acquisition or generation of natural resources to the final disposal.” The life cycle begins with the so-called “cradle” of the product—the extraction or acquisition of raw materials and the transportation of the materials to the manufacturing site. Next, the manufacturing phase occurs where labor, equipment, and energy are used to transform the raw materials into the building material or product. Once completed, it is deemed to be at the “gate” and ready for shipping. The finished products then move into the construction phase by being transported to the jobsite and incorporated into the building construction. 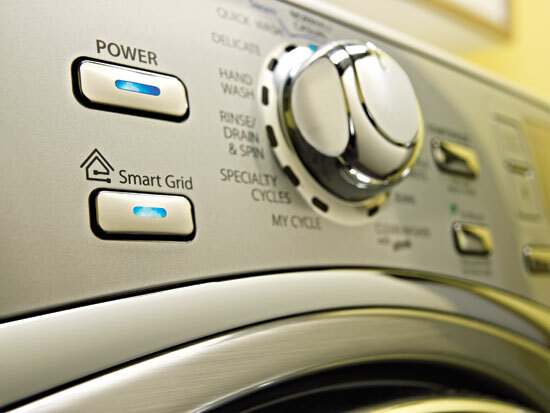 The use of life-cycle assessments is leading to improvements and advancements in the design of residential appliances to reduce environmental impacts.